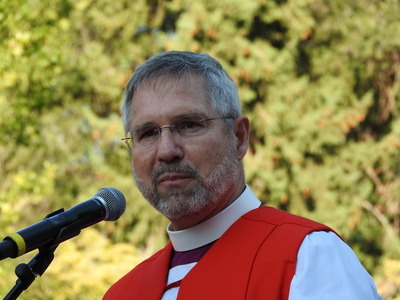 As news of yet another gun massacre in an American school, this time in Oregon, hits the headlines Bishop Ian Douglas calls for a conversation on Gun Violence across the USA. In a video recorded earlier this year, he recalls the Sandy Hook massacre in his own diocese of Connecticut in 2012. He names gun violence as sin saying ‘The ways of death are not the ways of God’. Pray with the bishops and people of TEC by watching the video Claiming Common Ground Against Gun Violence where you will join a pilgrimage through the streets of Salt Lake City.